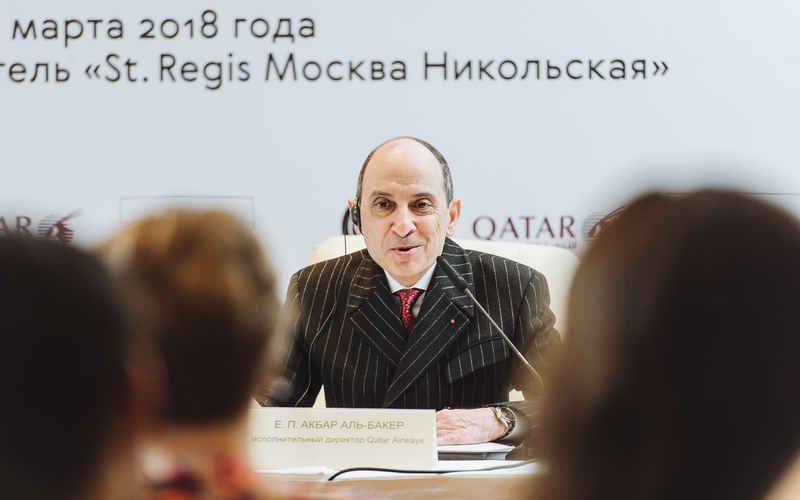 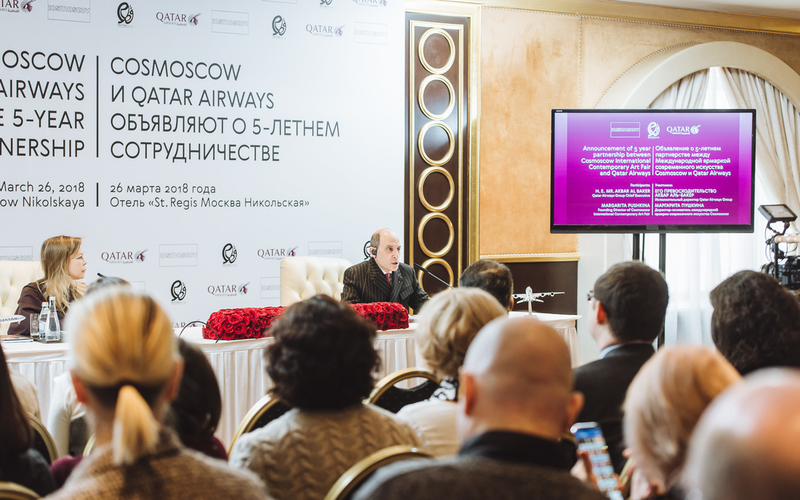 Cosmoscow International Contemporary Art Fair and Qatar Airways announce the start of 5- year partnership within the Qatar-Russia Year of Culture. 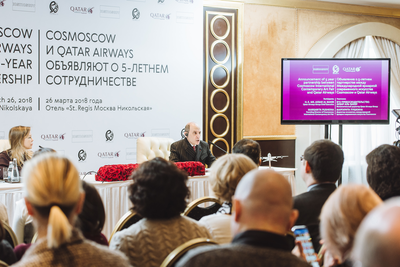 As the General Partner of Cosmoscow, Qatar Airways will be represented at the main venue of the Fair at Gostiny Dvor from 6 to 9 September, 2018 and will have an opportunity to participate in a number of Cosmoscow projects and programmes. The Memorandum of Understanding between Cosmoscow and Qatar Airways was signed in the presence of His Excellency Mr. Salah bin Ghanem Al Ali, Minister of Culture and Sport of the State of Qatar at the St. Regis Moscow Nikolskaya on March 26, 2018.